Despite its occasional highlights, the DC Extended Universe has arguably struggled to rival its colossal Marvel counterpart in terms of financial gain and certainly in terms of critical success. 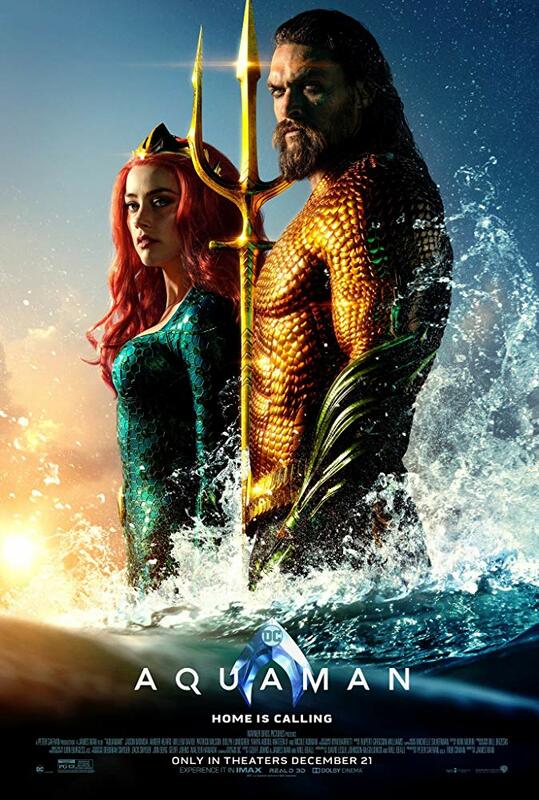 Its latest entry Aquaman hasn't exactly been met with universal acclaim, but has bolstered the struggling franchise and won over many audiences at first glance as shown by its remarkable box office receipts thus far. There's fun to be had, but whether or not you will be truly immersed at the end of the day depends if its entertaining visual thrills can mask some evident flaws when it comes to the general development of the characters and the overall story itself. Arthur Curry (Jason Momoa) is a half Atlantean, half human who lives on the surface world, having been rejected from Atlantis itself due to his half breed nature. Many years later, rebel Atlanteans seek him out and urge him to return, bringing news that he must take his place as the rightful king and challenge his half brother Orm Marius (Patrick Wilson), who plans to bring war to and eventually wipe out the surface world. Orm also co-operates with the malicious pirate David Kane (Yahya Abdul-Mateen II), who seeks vengeance against Arthur for his actions when fending off him and his father from attacking a nuclear submarine not long prior. Aquaman isn't afraid to embrace the corny atmosphere of its premise; but perhaps this can be a flaw as much as it can be a merit to some. Not every comic book adaptation needs to be a intense and realistic thriller following in the steps of Christopher Nolan's most poetic works but translating the content of the comic books to the big screen requires some effort to help it fit in with a realistic modern world and avoid any inadvertent laughs now and then. Aquaman doesn't always nail this, and feelings of bemusement may consequently stem from some of its aesthetics, costume design especially, and incredibly cheesy writing. How audiences respond to it will generally come down to personal preference, but all I can say is that it's surely hard to at least not chuckle a bit when Black Manta shows up. The story itself is fairly unfocused and certainly dragged out; but even with its healthy runtime it still struggles to balance out the many characters it insists on cramming into itself. This creates an issue where characters central to the plot often disappear and reappear sporadically, leaving them underdeveloped and uninteresting as a result. 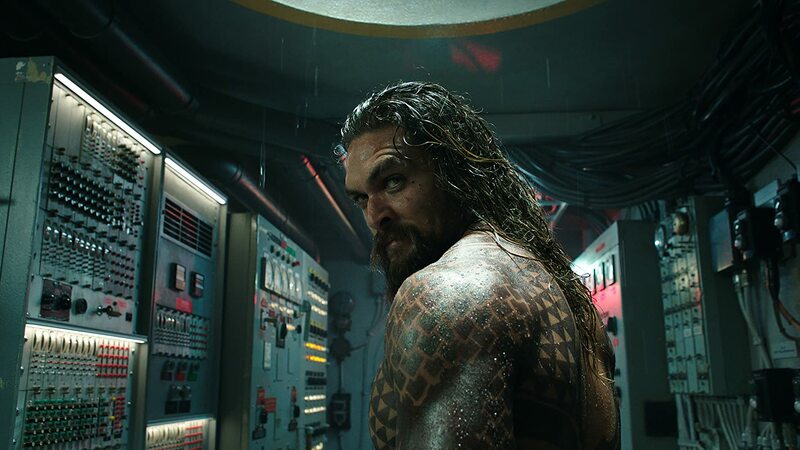 Though when it comes to development, perhaps the film does deserve some praise when it comes Aquaman himself, a character portrayed with plenty of wit and severity by Momoa, and one whose backstory is told with the use of cleverly interwoven flashbacks as the main story itself progresses; a technique that ensures the overall pace isn't severely disrupted. This aside, the meat of the story, while not offensively terrible, isn't suitably balanced; and is just boring, to put it more simply. Aquaman of course boasts some brilliant visuals, something we certainly expect by now from a high budget superhero film. 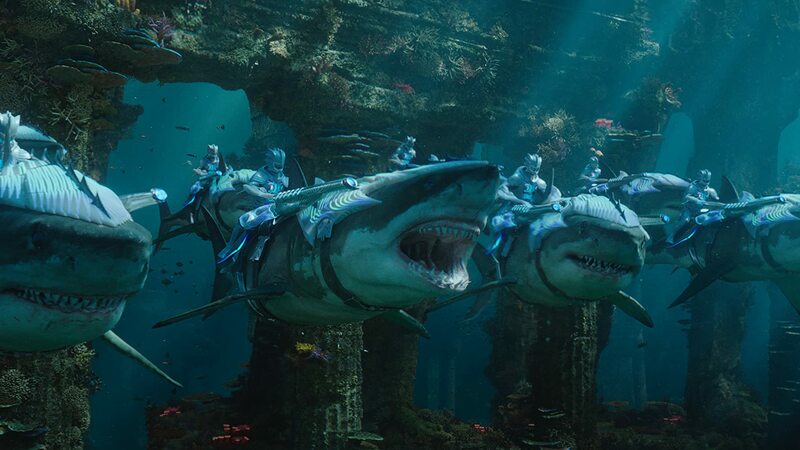 The effects used to compose the underwater kingdom of Atlantis are vivid and rich in detail, and those used to superimpose the actors themselves within this world are equally impressive. While its various set pieces are too often triggered by random explosions that abruptly (and annoyingly) cut off character conversations, they're certainly exciting to watch and once again demonstrate some superb modern visual effects. The film as a whole certainly isn't terrible, and of course has its various entertaining moments and decent lead performances, but just doesn't do a truly good job of trying to develop a half decent storyline and perhaps tone down the silliness throughout, and so we have an overlong and thinly plotted action flick as a result.